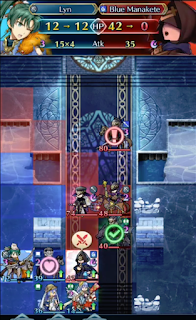 This solution uses the tried and true, always reliable The Reinhardt + Bow Lyn + Two Dancers formula. Although the Summoner in this video strategy seems to be using double Attack Tactics plus two other Tactics Seals, I was too poor to do this. 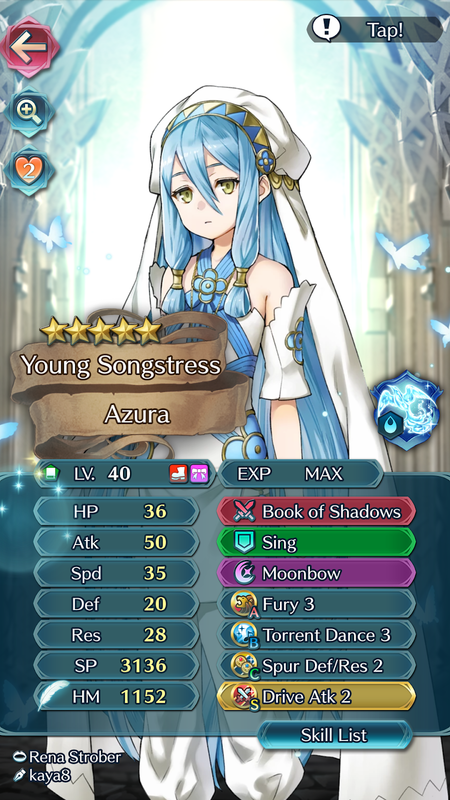 So instead, I just slapped a Spur Attack and Drive Attack on my Dancers. 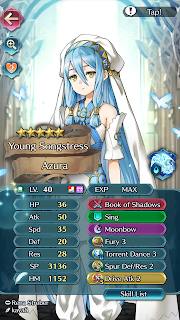 And it should all go smoothly, until Bow Lyn tries to hit this Blue Manakete. The Summoner in the video has his Bow Lyn at 12 HP after this fight. But, my Bow Lyn is -RES, and only barely survived with a measly 7 HP. This will become a problem later. 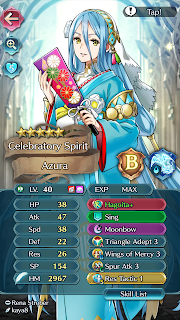 Later, when our Bow Lyn attempts to assassinate this Blue Manakete, she may not have enough HP or defenses to live the second engagement. 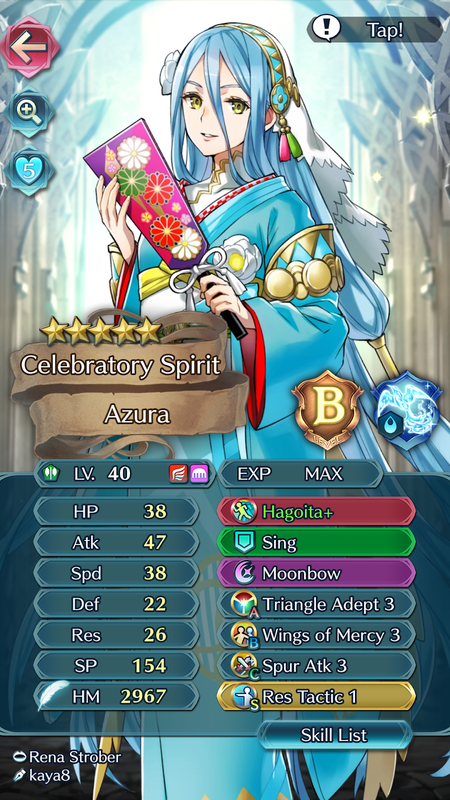 The Blue Manakete needs to die this turn or earlier, so it would help if you were able to chip off more of her HP in the first engagement. This is where you really need the correct Seals or C Slot skills to save your Bow Lyn. Now that most of the dangerous enemies are dead, a new problem arises. 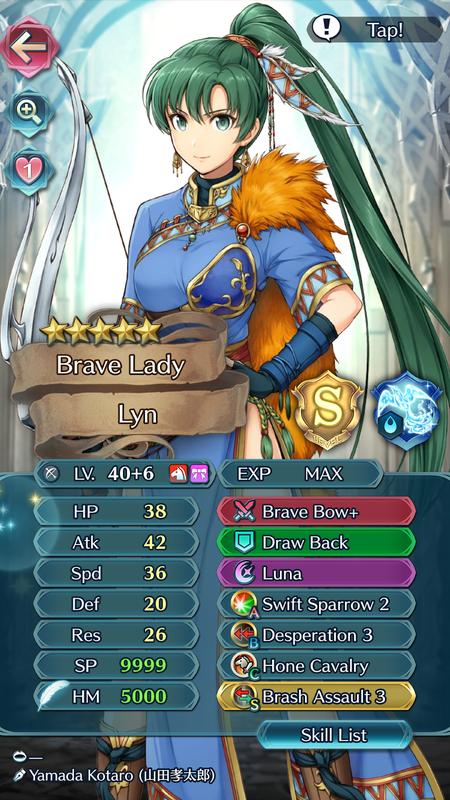 Our Bow Lyn only has 7 HP, and is vulnerable to dying if struck by the enemy Healer. 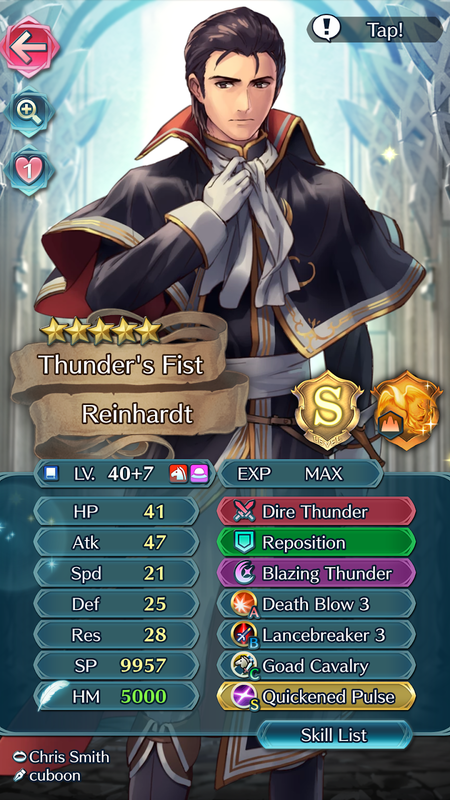 Since the previously mentioned annoying Blue Manakete is now deceased, The Reinhardt is perfectly capable of murdering both the Bow Cavalier and the Axe Flier himself. 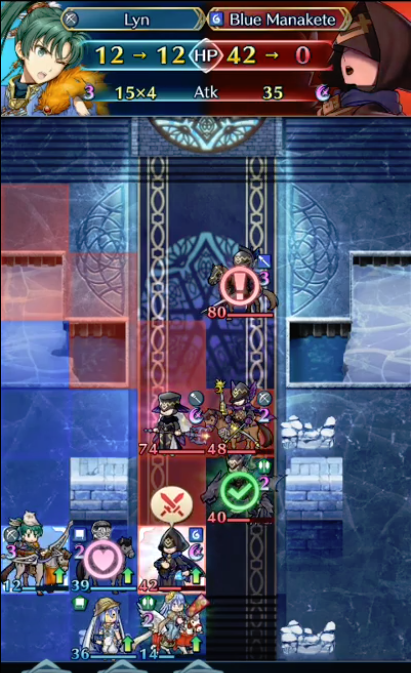 This allows our weakened Bow Lyn (and Flying Azura) to hide in the corner of the map, out of the enemy Healer's strike range. We're nearly home free now. 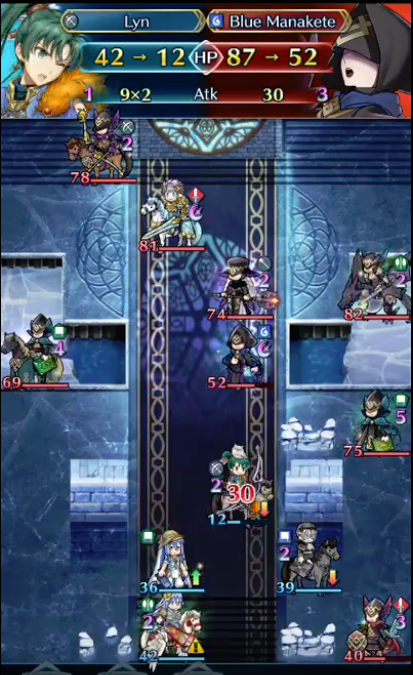 Murder the enemy Healer, while keeping your units out of the Lance Cavalier's stabbing range. 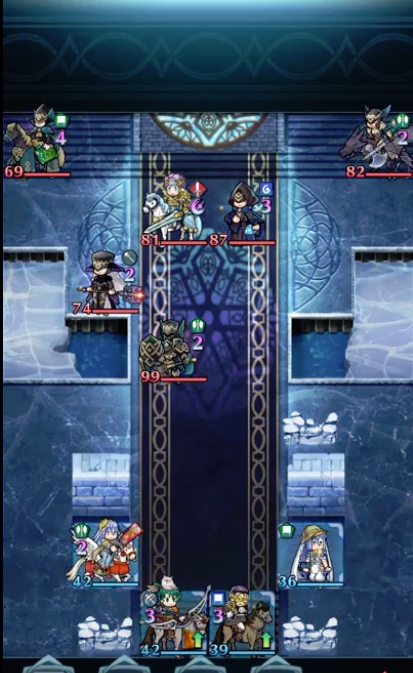 Then bunch everyone up to gain all the buffs, and gang up on the Lance Cavalier before he can hit anyone. Congratulations, you've won a gold colored hair pin thing! 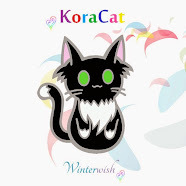 Totally worth the hours of internal screaming, yeah? 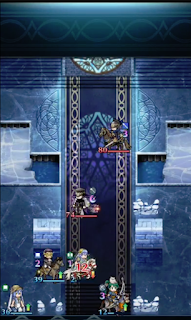 Note: PM1 has solutions for this Map too, but the Abyssal map uses a Pain+ Lucius. 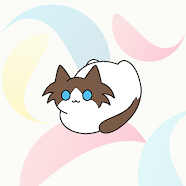 I tried substituting in my Pain+ Priscilla, but that didn't work out as planned. So, back to old reliable The Reinhardt I went. This F2P solution worked perfectly for me, and used minimal resources. Alternatively, you could also use a Brave Bow + 3 Dancers combo, or repeat the Abyssal strategy above.